Inside: Left reeling from the chaos that happened in your home today? Mama, you might need a kids schedule or routine. The good news is that it’s totally doable! 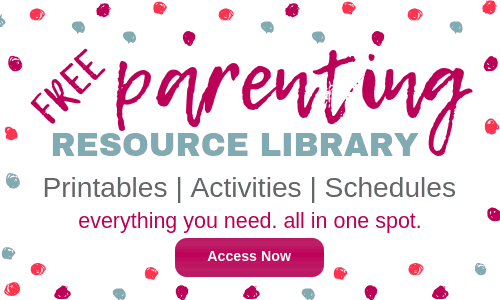 Getting your children on a daily routine isn’t just for the supermom down the street. Forget about her, she doesn’t really exist anyway. I promise you can do this, too! 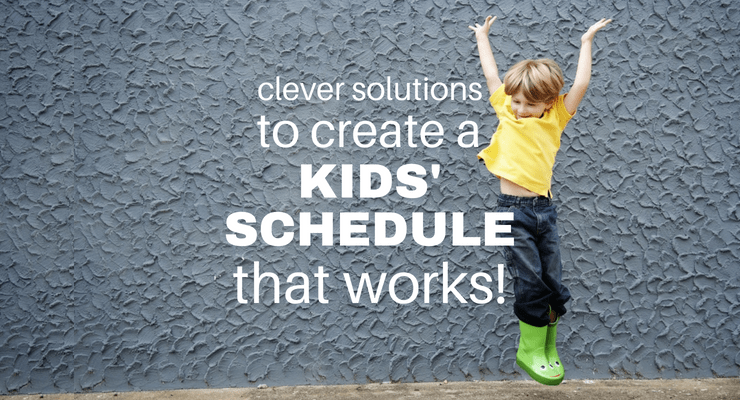 Keep reading for my favorite tips and tricks to create a kids schedule that works! Predictable and consistent routines give a firm foundation for learning, love, and connection to take place. Even better, a routine for kids at home can help prevent or redirect misbehavior before it even happens. Um, hello… sign me up, please! So, where on earth do you start? 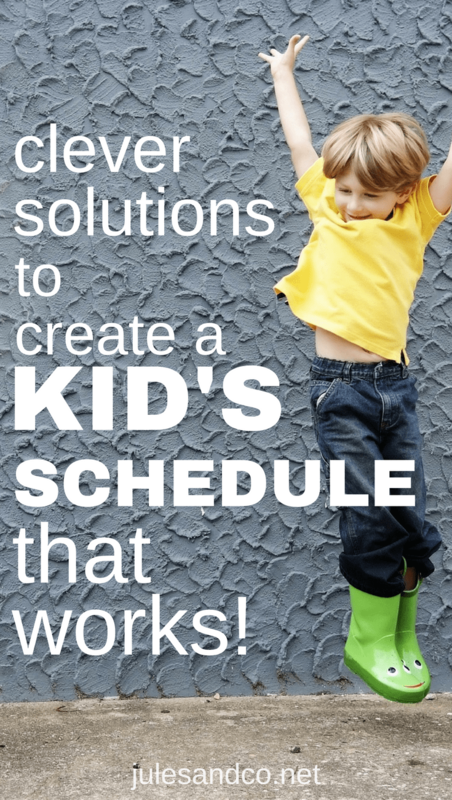 Today, I’ll give you tips from my home to help you create a kids schedule. We’ll walk through the day and discuss resources and techniques for each transition. Let’s get to it! Before we begin, there are a few key points you need to know to make routines and schedules work for your family. Routines will vary according to age. Don’t expect a younger child to live up to the same guidelines as an older child. Younger children often need more transition time between daily activities. For a detailed schedule for a toddler, read my post about scheduling the day for a toddler as a stay at home mom. Routines are guidelines, not laws. It’s important to give yourself and your children a little wiggle room and grace along the way. Routines only work if you’re consistent. My mom always says, “If you can do it once, you can do it twice. If you can do it twice, you can make it a habit.” As you stick to your routine, you’ll find it gets easier! Don’t give up if you don’t see improvement after one day. Morning: 7:30- 9:00 Breakfast, wash face and hands, simple and quick chores. Add in morning basket time for preschoolers! Mid Morning: 9:00- 11:00 Outside for exercise, gross motor play, exploration. Early Afternoon: 11:00-2:00 Clean up, lunch, read books, nap. Late Afternoon: 2:00-5:30 Fine motor play, color, read books, play doh, learning activities. Nighttime: 7:00- 8:00 Bath, Bible story, read books, bedtime. One of the most difficult parts of a routine to master are those tricky transitions. Why does everything fall apart the moment you try to pack up and get in the car or sit everyone down for a meal? My number one piece of advice for these challenging moments is to recognize, prioritize, and plan ahead. 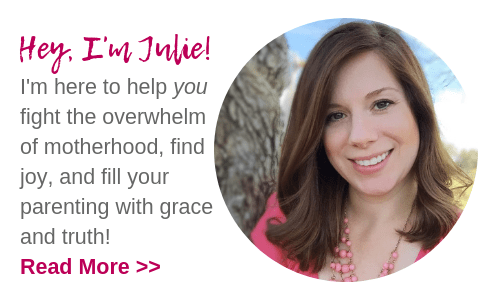 Recognize patterns of when chaos seems to break loose in your home. Prioritize what’s important to you. Is is meaningful to have everyone sit together at the table? Is it important to pass responsibility for getting dressed and brushing teeth off to your toddler or preschooler? Make a mental note of what your priorities are. Then plan. Make a strategy for how you’ll get those most important things done during transitional moments. Here’s a few strategies that we’ve tried in our home. Make chart of responsibilities to complete when they wake up in the morning. I have a printable chore chart and that includes morning routines inside the Everyday Calm eBook and printable pack bundle! Or, read how we use our magnetic chore chart every morning. Teach your kids to make their bed as soon as they wake up. Honestly, I got in this habit, too. It makes me feel like a winner before my day even begins! Play music during breakfast to get everyone pumped for the day! Try these back to school morning routine hacks. Or set out clothes the night before. Choose a few age appropriate chores for your child to complete. 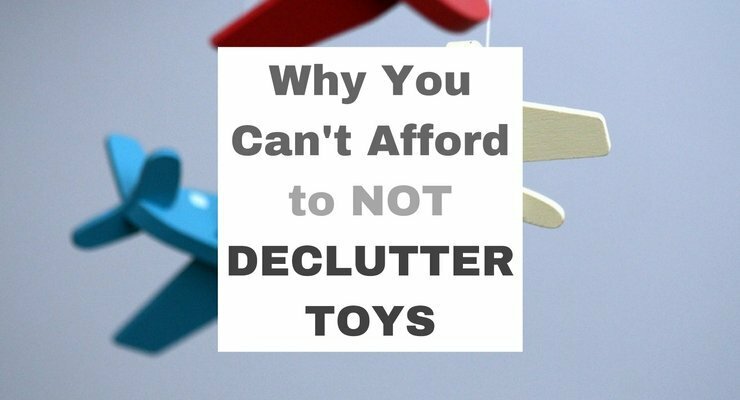 Make designated boxes or bins for certain types of toys to encourage the routine of cleaning up. For example, we keep all the dinosaurs in one bin, trains and cars in another, stuffed animals in a basket, etc. Print out these cute toy labels to keep organized. One thing I learned as a teacher is that kids NEED responsibility to avoid misbehavior. The more they feel like an important part of the team, the more they know that you are depending on them and that they’re capable, the more they will respond and take pride in themselves and their environment. Offer tons of outside play time. When I feel chaos or bad attitudes sneaking into our daily schedule, I drop everything and get my children outside to play. It works almost every time! Older kids can help set the table or make dinner. Younger children can carry their sippy cups or light plates or bowls to the table. Take turns saying the prayer! When I was a kid, we were each in charge of praying a specific night of the week. Again, make your kids a part of the team! Take plates and cups to the kitchen after the meal. Show them how once or twice. Then just offer a cheerful reminder, “Plates, please!” if they forget. Older kids can help wash dishes. Here’s a routine my mom used that worked wonderfully. I have three sisters. Each of us could call dibs on the which spot in the dish washing order we wanted. (Who would wash first, second, etc.) We counted up the dishes and divided by four. Then each of us only had to wash that amount of dishes. There were pros and cons of each spot. The first washer couldn’t procrastinate, but she got to choose the easiest dishes to wash. The last washer could go play for a bit and have a break, but would be stuck with the dirty pots and pans instead. This routine cut out complaining and arguing about who would wash the dishes. Genius! Maybe it will work for your family too! Read my mom’s house rules, they’re genius! Bedtime routines are so essential to helping kids avoid misbehavior. If they know what to expect, they’re far less likely to throw tantrums or become distressed at bedtime. Try to avoid TV or limit screen time at least 30 minutes before bed. The blue light from these screens can disrupt sleep. Get some one on one time right before bed. Read a book, have a family devotion. 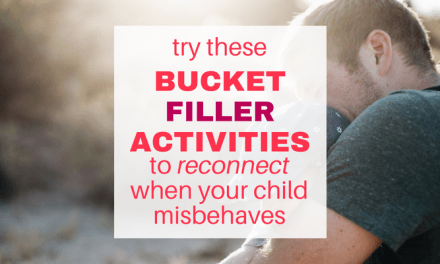 Do something that helps you connect and helps your child wind down. Especially for younger kids and babies, don’t rock them to sleep. We made this mistake with our son early on and had to go through some pretty tough sleep training to teach him how to soothe himself to sleep. If you’re in this boat, consider evaluating your bedtime routine. Want to learn from my mistakes? Read this post about what I did differently for my second baby. It’s important to note that there are so many developmental changes that kids go through that will wreak havoc on your bedtime routine. Your routine may need to change over time, and that’s OK! For example, when my son was younger, I used to turn out the light, pray Psalm 19 over my son as I held him, and then put him in bed. This worked for months and months and then one week he started to cry hysterically when I would place him in his bed. I tried a simple adjustment to our routine. I prayed the Psalm, but put him in bed as I prayed with the lights on. Then a quick pat on the back, lights out, and out the door. I was amazed that this simple switch helped him settle right in a go to sleep quickly. If all of this information overwhelms you, you’re not alone. Listen, we agreed earlier that supermoms don’t exist anyway. So all you can do is take one baby step at a time, right? Try these action steps to get your kids schedule back on track. Choose one new routine for the morning, or print out a visual aid to stay on schedule. 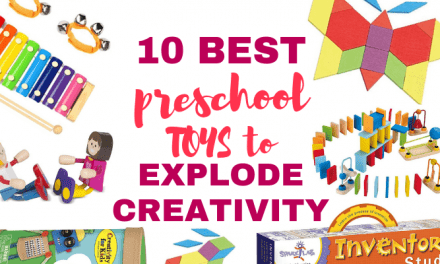 Choose one habit to improve on for play time: one toy at a time OR clean up time? Choose one new routine or responsibility for meal times. Make it a big deal when your kids get involved and help with the responsibilities. Evaluate your bedtime routine. Is it working? Are you consistent? Do you need to make minor adjustments? Share with us below! What’s the one sticking point that keeps tripping you up in your kids schedule? What tip works for you to help ease those trick transition times during the day? 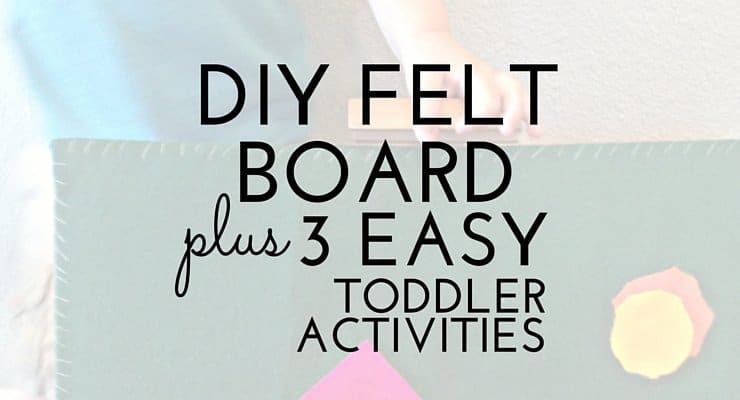 DIY Felt Board- Plus 3 Easy Toddler Activities!